I love wearing little dresses when I go out and started digging in my stash of “sock” yarns to put together a lightweight but cozy little sweater to bridge the gap. One of my favorite dresses is a black & white polka dot number – fitted and just slightly fancy with a low v-neck & one, just one, ruffle. 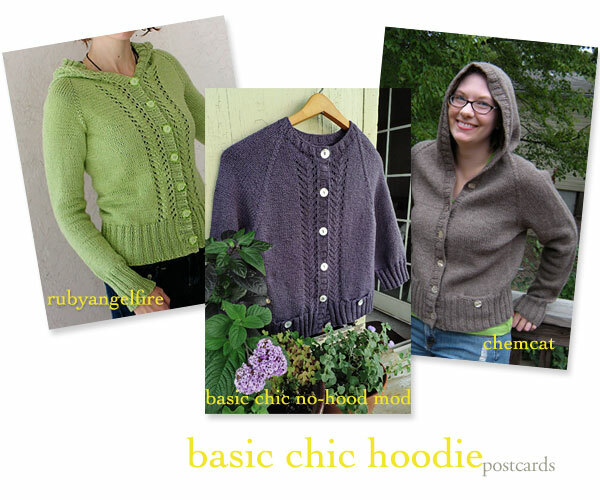 YARNS – this sweater is designed at 6sts per inch and I found a wide variety of yarns that can be knit at this gauge. I swatched and washed to see how this sock yarn might behave and was happy happy joy joy! It went up on the fit mannequin a few times to make sure it was behaving to measure apre-swatch. But of course, THIS is our favorite time of year. Out come the sweaters, the vests, the hats – replacing the sunshine with color and light all their own. wishing you a very happy fall season knitting! First, make your initial front bands just along the front edges. Then, pick up sts along the neckline, from the RS for a band, or the WS for a collar, 1 st for each neckline st and adjust to make a multiple of 4. Row 1 (& all WS Rows): P3; K2, P2 to last st, P1. Row 2 (RS): K3; P2, K2 across to last st, K1. Work to desired length and BO all sts as they appear. (Remember to work a buttonhole in your neckband for a crew neck version).